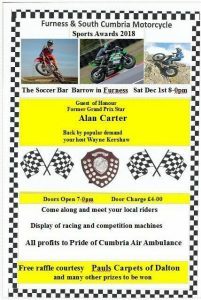 The LlanBikeFest Team have recently donated free weekend tickets for Llanbikefest 2019 to be raffled of for charity. The events are listed below; see their pages for more details. 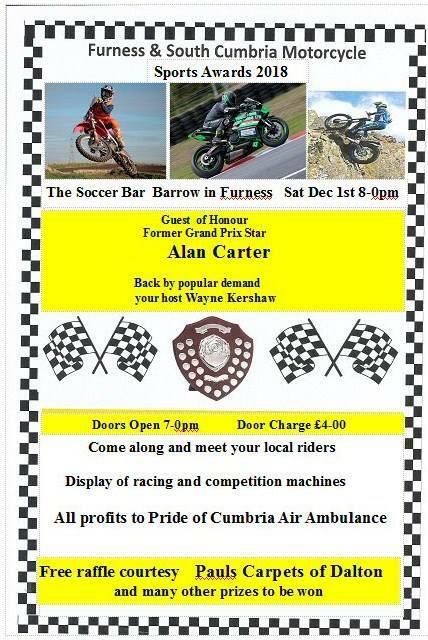 The proceeds from the raffled tickets donated to The Furness & South Cumbria Motorcycle Sports Awards will go to Pride of Cumbria Air Ambulance.